The first day of spring is approaching and while you may have gotten ahead of the curve and cleaned your home or office, have you considered cleaning up your digital domain? Your website is a lot like your home. At least once a year it requires a deep cleaning – removing the things that no longer make sense and evaluating what you do have to look for improvements. Here are 5 spring cleaning tips to breathe new energy into your website! Advances in technology may have outdated your website, creating a discrepancy between you and your competition. The first step to revitalizing your website is to take an unbiased tour of it on both your desktop computer and your smartphone. Reviewing navigational flaws, download speeds and other problems that may plague your website’s performance will help put you in the shoes of potential patients. Once you have outlined these possible concerns, ask yourself, is my website responsive? A responsive website automatically adjusts its layout, images, and content to fit the size and resolution of any browser or device. That way, whether your patients are on their smartphone, tablet, laptop or desktop computer, they are all sharing the same experience and information. Responsive website design is recommended by Google because it improves the user experience and website accessibility. Transitioning to a responsive design helps boost your online ranking – contributing to improved SEO and stress-free website management. It will also maximize your resources; one website for all devices significantly reduces development and maintenance costs. Unfortunately, you are not clairvoyant. Many of the features you intended or believed you would use when you first launched your website are now collecting dust. Can my patients find the information they need? Information is in abundance on the web; don’t make critical practice information a game of hide-and-seek. If your location, hours and contact information are hard to find, minimally you will aggravate current and prospective patients. More often, you may lose them all together. Are my images modern, appealing and relevant? Your website is a direct reflection of you and your practice. When images, colors and other visual aspects appear outdated, so too does your credibility with potential patients. Periodically evaluating and updating images helps to manage your practice’s online reputation. When choosing new images, neutral is best! Avoid current fashion statements and opt for images that can sustain long-term usage. Make sure the images are high-quality, relevant to your practice, invoke positive sentiments and do not violate copyright laws. If your website fails to provide all of your practice’s information, such as conditions and treatment options offered, you run the risk of losing out on potential new patients. To minimize your review time, get the whole office involved to review your website content for spelling, punctuation and accuracy of published information. Is your website and patient information secure? 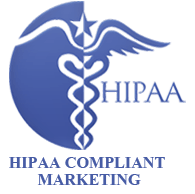 Often, when websites are built, they do not consider the HIPAA laws that regulate patient privacy. There are several items safe to ask on contact forms that bear no HIPAA compliance violations. These include name, address, phone number and email. When a website provides space to fill-in medical information such as symptoms or reason for an appointment, the private patient information provided must be transmitted, stored and accessed in a HIPAA-compliant manner. Your website must secure any Private Health Information (PHI) during its journey to a HIPAA compliant server using modern SSL encryption technology. Properly configured SSL encryption creates a secure channel of communication between your website and the hosting server to ensure patients’ information remains private. A nice additional benefit of using SSL is that Google often favors SSL-protected websites in their search result rankings. Any patient testimonials and photos are published in accordance with your state laws and medical board regulations. That detox event you hosted six months ago was a great success, but why is it still on your homepage? Review any date-specific items on your website to see if they have reached expiration. Make sure to check for weekly and monthly specials that have ended. On the flip side, make sure to add any new events planned through the end of the year. The more notice you give your patients, the better chance you have that they will commit time to attend! If your specials and promotions change frequently, dedicate a staff member to update these on your website weekly, biweekly or monthly based on their frequency. Setting calendar reminders to remove events and specials once they are completed is another great way to keep your website up-to-date! 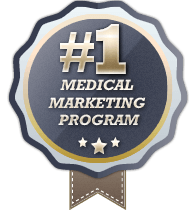 Your website is one of your practice’s top marketing tools. Its maintenance should not be a daunting task. 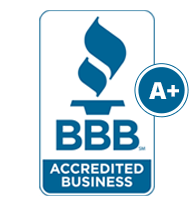 With routine clean-ups, you ensure patients receive accurate and compelling information, improve patients’ browsing experience and protect the integrity of your business.